Sotheby’s is gambling that it can shatter previous auction records for the artists Marsden Hartley and Ludwig Meidner in its Impressionist and Modern evening sale on 12 November in New York. The paintings, which form part of a themed sale called The Beautiful and Damned, are said to “represent the finest output of these artists in private hands”, according to the auction house’s senior vice president and head of evening sales Julian Dawes. The estimates for each work top previous records by several million dollars. 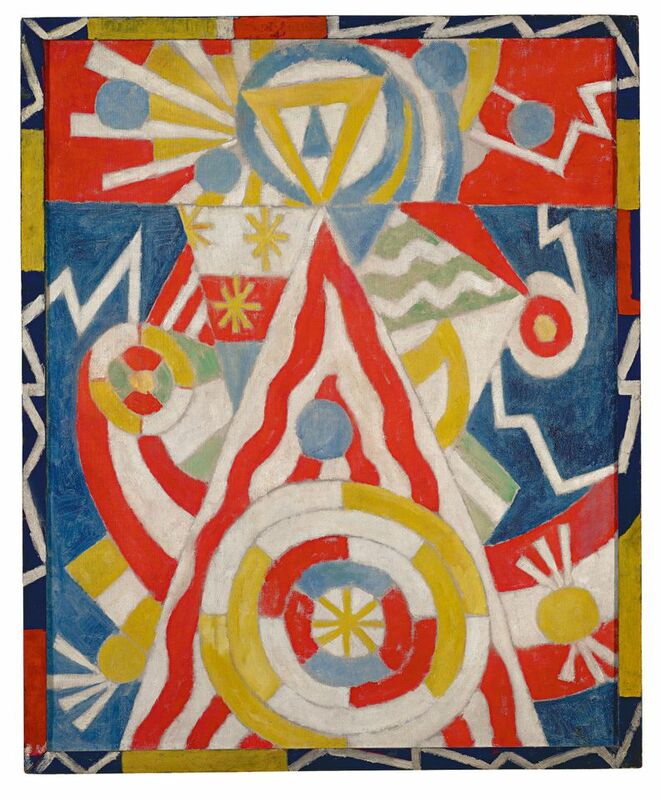 Pre-War Pageant (1913), a vibrant abstract painting from the years Hartley spent in Berlin that is owned by the American collectors Ed and Deborah Shein, is being offered at auction for the first time with a sales estimate in the region of $30m. That is a significant leap from the artist’s previous record of $6.3m, which Christie’s New York achieved in 2008 with another work from the artist’s Berlin period called Lighthouse (1915). 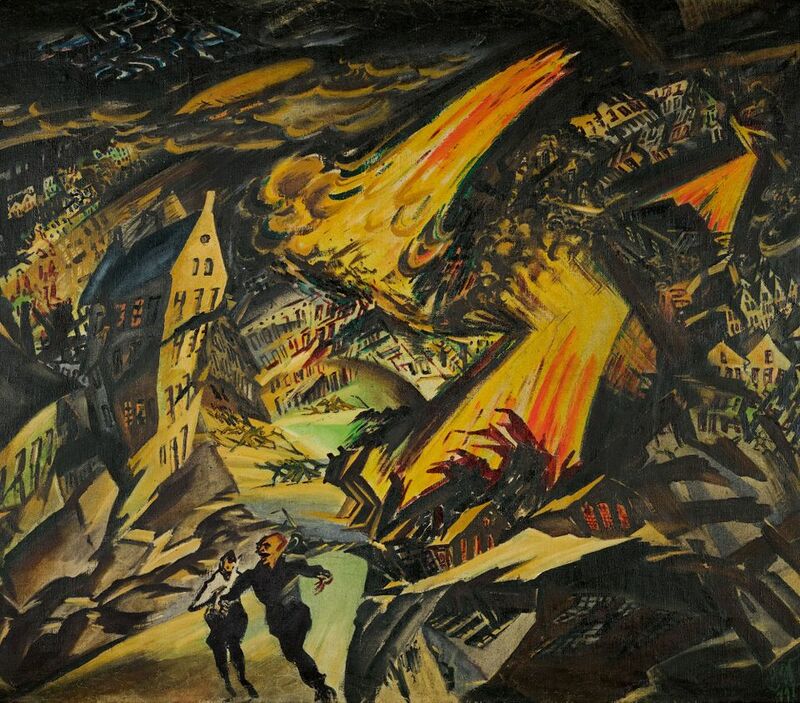 The auction house estimates Meidner’s volcanic Apocalyptic Landscape (around 1913) at $12m-$18m. The work was held in a private collection for more than four decades before it went up for sale in 2001, fetching $1.1m, though a similar landscape brought in $3.1m—the artist’s previous auction record—in 2006 in a sale of German and Austrian art at Sotheby’s in London. “Outside of museum collections, similar examples by these artists are just not available, and will likely never be available,” said Dawes, explaining the outsize estimates. Both artists have also gained some institutional visibility lately: Over the summer, the Met Breuer organised a show of works by Hartley centred on his native Maine, and the Jewish Museum of Rendsburg opened a comprehensive show of works by Meidner assembled from a private collection. Sotheby's confirmed that both of the paintings are guaranteed, which is a boon for the sellers, though the auction house reported a dip in its second-quarter earnings last month due in large part to high guarantees that squeezed its profit margin on commissions, specifically on two big-ticket works, Modigliani’s Nu Couché (sur le Côté Gauche) from 1917 and Picasso’s Buste de Femme de Profil (Femme Écrivant) from 1932.